Before you know it, we’re deep into the Christmas holiday. It’s the time of the year when part of the tradition is the merry eating, often a cause for indulgence that will visibly manifest itself come January. 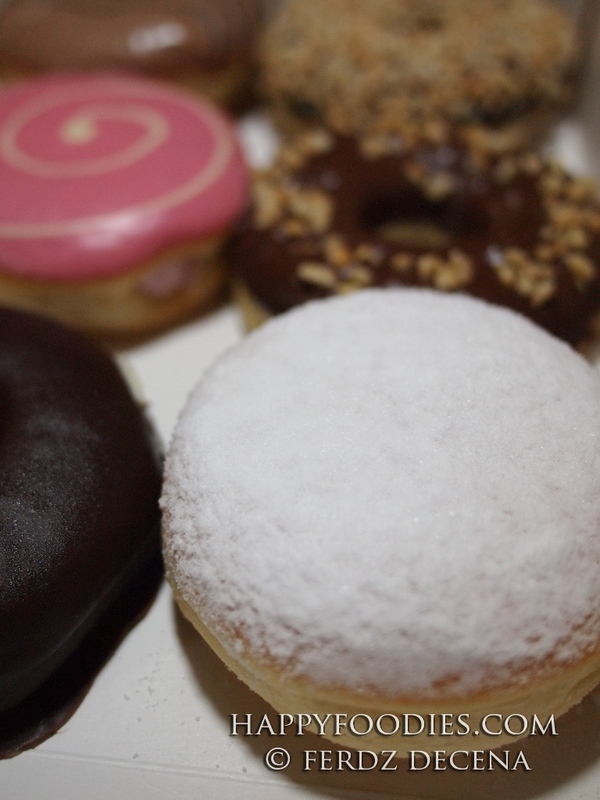 It’s also the time to give and receive (food calories included in the merry swapping of presents) so it was really a pleasant surprise to get boxes of J. Co Donuts at the doorstep. Hmmm, gets us into thinking: is there really room for another donut brand in a sweetly saturated market? 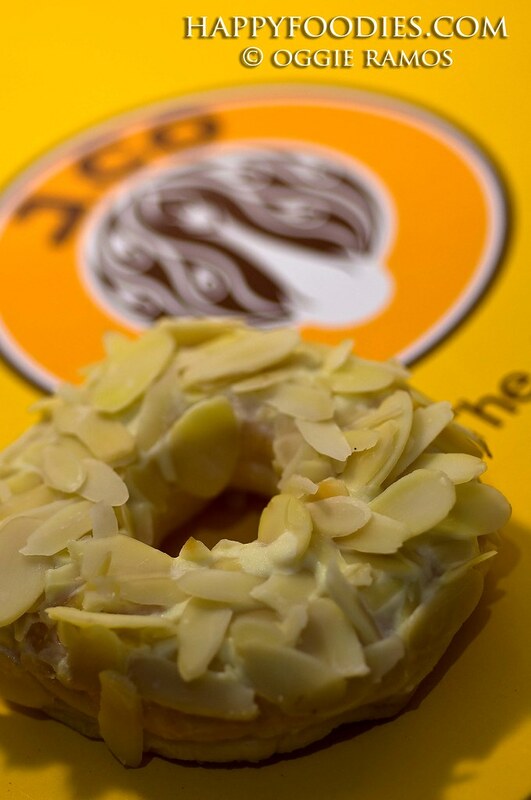 J.Co isn’t really a new brand, having been around in other Southeast Asian countries like Indonesia where it got started since 2005. Well, only with a taste test can tell so we made room for extra calories to give Happyfoodies readers our impressions. Lagal[og] says: I used to be a big donut eater but in recent years, I’ve scaled down my sugar intake and curbed my sweet tooth. But I wouldn’t miss out on a ‘new’ donut offering so when the J.Co boxes came, I know I got to have a sampling of everything. 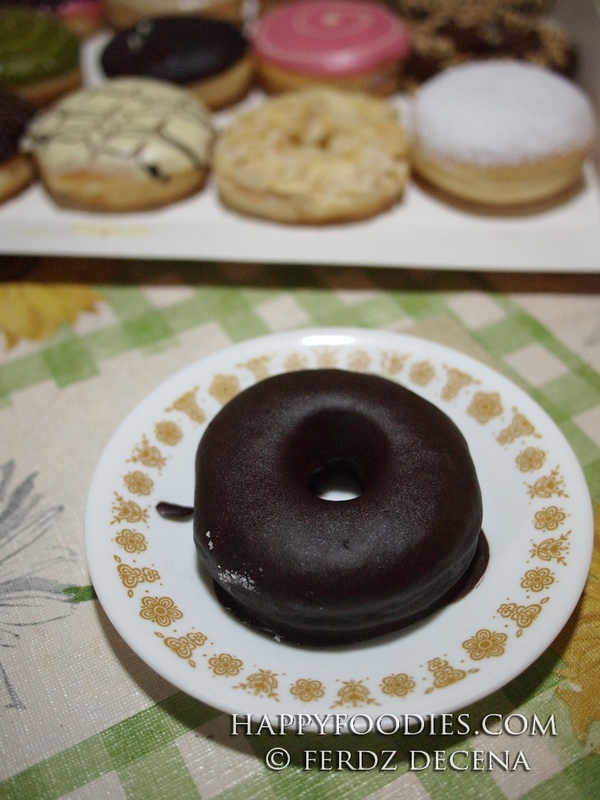 My initial impressions: most of the variants were pleasantly not overly sweet and the donuts are soft even without the benefit reheating which is great since I love my donuts cold. Ironwulf says: Despite the entrance of a couple of big brand international donut chains, I found myself still patronizing the local ones because I found the popular brands too sweet for my taste. 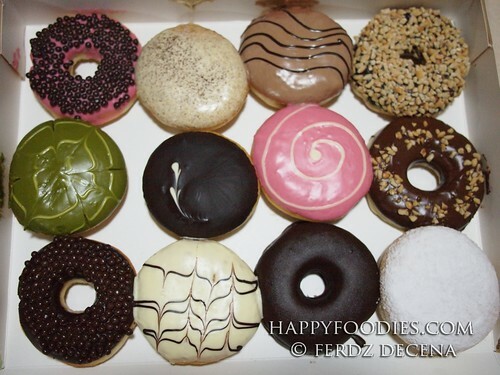 What intrigued me when I opened a box of J. Co donuts variants were the unique flavors and generally moist and soft bread used. Lagal[og] says: I’m not big on white chocolate but I like the Alcapone, nevertheless. It’s got Belgian white choco topped, nay smothered, with California almonds — a nice layering of textures with its medley of creaminess and crunch. The Heaven Berry is also berry good (I’m a strawberry-anything fanatic so excuse me for the pun) which is different from other Strawberry donuts since it uses a berry cream as filling instead of the usual jelly. Of course, I won’t miss out on dark chocolate goodness of Don Mochino. Ironwulf says: Alcapone, with its layers of sliced almonds on top of its white chocolate is my instant favorite. The Snow White though surprised me with its lightness, from the thin layers of confectioner’s sugar on top to the soft-whipped cream filling. It’s like biting on a cloud. 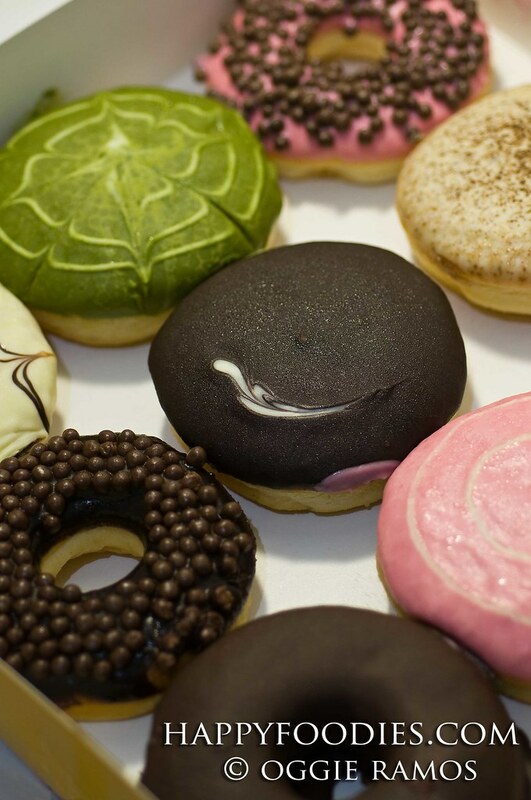 The Green T bavarian donut was also unique but it has a very likable flavor that’s fresh on the taste buds. The Why Nut made me question if I was biting into a layer of Reese’s chocolate — it was that good. Finally, a play of textures and crunch is the name of the game with the Chocolate and Strawberry Caviar donuts with its wafer-like toppings. *There is a special treat for the first 200 customers to visit the store starting 9am. I first tried J.Co in Singapore. 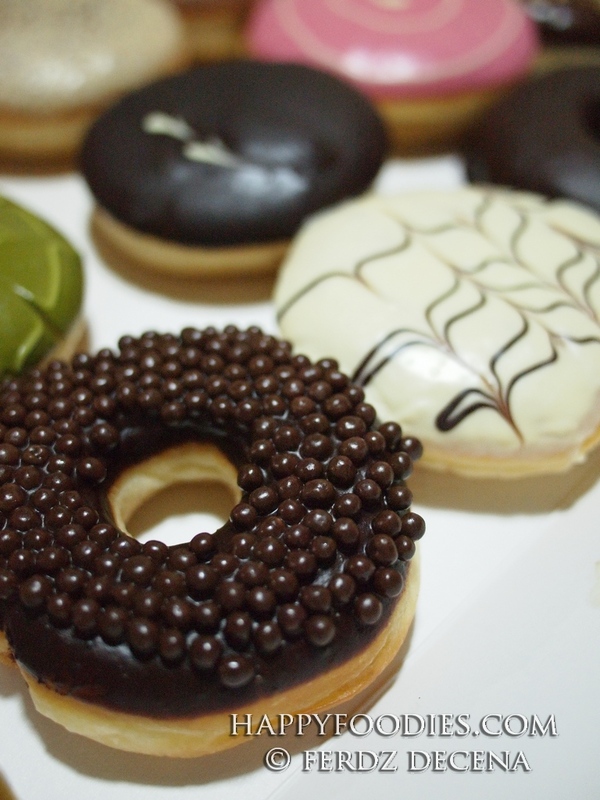 Although not a fan of Krispy Kreme (too sweet for me), I liked J.Co mainly because I didn’t find it as sweet. Perhaps also a lighter dough then most donuts. Hopefully there really is indeed room for another donut shop here.